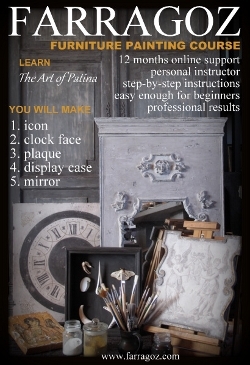 How would you like a chance to win a FREE 12 month online "FARRAGOZ, The Art of Patina" painting course? Now, I would like to give one of my followers the opportunity to experience the course for FREE. My friends at FARRAGOZ have agreed to let me GIVEAWAY a 12 MONTH ONLINE COURSE to one of my followers. 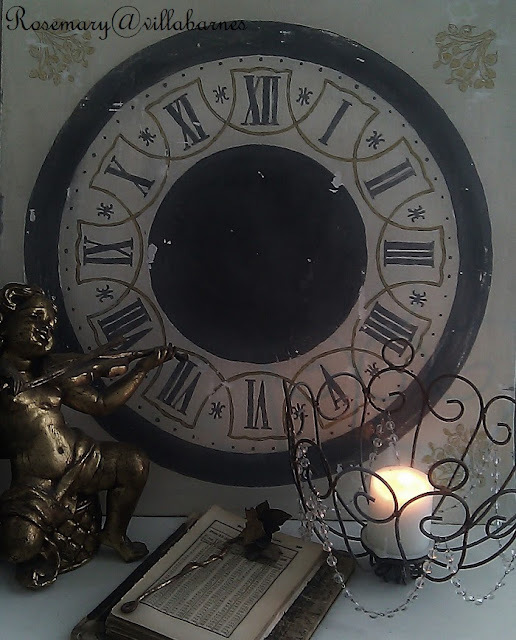 Would you like to have your own decorative clock face displayed in your home? 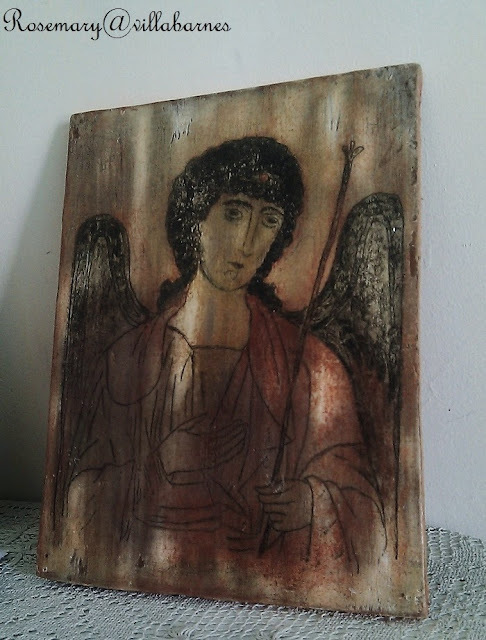 How about an angel icon, created by you, using your own hand mixed oil paint? 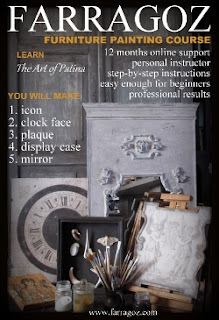 The easy to follow instructions, and video tutorial will have you producing old world results. Would you like to learn how to make this beautiful trumeau? A FARRAGOZ instructor will guide you every step of the way, and you can move at your own pace. 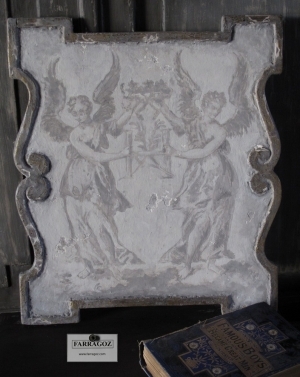 Or, this gorgeous angel plaque, in beautiful monotone shades? You can do it. 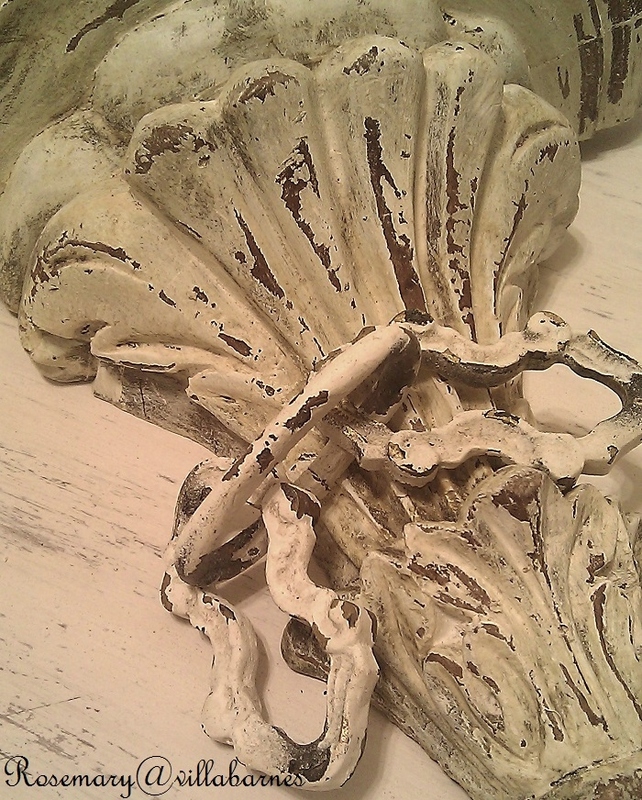 Would you like to learn how to mix your own paint, and gesso? The recipes are economical, and I'm loving the finishes I get using them. I just finished this frame using one of the techniques. You'll learn all this, and more. What you learn, can be applied to soooooooo many projects. So, are you as excited as I am about this GIVEAWAY? If you'd like to enter for a chance to win a 12 month online FARRAGOZ course, I'm going to give you multiple entry opportunities. You must be a follower of VILLABARNES, and let me know you would like to enter. Leave a comment letting me know if you are already a follower, or if you've just joined me. You can follow with GFC, Linky, or email. "Like" FARRAGOZ on Facebook, and leave a comment letting me know. For additional entries, you can: Share this giveaway on your blog, Share this giveaway on Facebook, Share this giveaway on Twitter. As much as I would love for all of you to win this giveaway, I know I can't make that happen. So, I've decided to do the next best thing. Because I'd like you to have an opportunity to experience the course, I've asked my friends at FARRAGOZ to set up a special course discount, during this giveaway, just for you. If you SEND ME AN EMAIL asking for the "SPECIAL DISCOUNT", I will forward your request to FARRAGOZ, and, the full cost of the course will be reduced to a one time payment of $99 for the 12 month course. The current discounted one time payment is $145. That's an additional $46 savings for you. Remember, the SPECIAL DISCOUNT will only be available, while this giveaway is going on. So, you have the opportunity to win a free course, AND, the opportunity to sign up at a discounted discount. It's a WIN WIN. If you still haven't checked out the course, you can do so HERE, or click on the FARRAGOZ banner on my sidebar. This is not a paid post. FARRAGOZ has enrolled me in their course to give an honest review. All opinions are my own. My decision to become a FARRAGOZ affiliate, and sponsor this giveaway, was based on my impression of the course. Yes, I want to enter, Rosemary! I would love to take this course. Also I will be sharing and likeing Farragoz on Facebook! Hope you are feeling better, GF! Forgot to say I am already a follower! I have followed you for quite awhile now, and would love to enter! Thanks! OMG Rosemary, how much would I love to win this!!! If I don't win I am still buying this when I move into our new home. So excited!!! Shared on my FB page!! I "liked" Farragoz on FB. Hi! Just liked Farragoz on Facebook. Thanks for the chance to win!! What an awesome giveaway. I'd love to be the lucky winner, count me in. You know I'm already a happy follower. I liked Farragoz on Facebook. Posted your giveaway on my sidebar. Also posted the giveaway on my Facebook page. ABSOLUTELY...I love your amazing finishes and would love to gain new skills to try to replicate some of them....I've been one of your devoted followers for a long time!!! Hello Dear....Just wanted to let you know that I liked them on FB for another chance to win your awesome giveaway!!! I'd love to win...I am a follower! I like them on FB, too! What a lovely giveaway. I could use all the help I could get. Thanks for the chance. I have been a follower through google connect thanks. Liked FARRAGOZ on facebook also. Thanks again. Added to my sidebar as well. Thanks. Yes, I would love to win the FARRAGOZ giveaway. chance to win this fabulous giveaway. I am a new blogger and a I have followed your blog for about a month now. I would like to enter for the giveaway, thank you! I liked Farragoz on Facebook for a second entry. I am your faithful follower and I "liked" Farragoz on FB. I would love, love, LOVE to win this course! Thanks for the opportunity Rosemary. Hi Rosemary, I am a follower and would LOVE to win this opportunity to learn something new!! I'm also a follower and love everything you create! I almost forgot...I also, "liked" Farragoz's page on Facebook and also liked and shared on my Facebook page as well! I like Farragoz' facebook page. Count me in. I liked, Farragoz on Facebook for a second entry. Thank you! OUI Mademoiselle! I would love to win this. And you know I'm a happy follower on GFC. I just "liked" Farragoz on FB for a second entry. Of course I am a long time follower of yours! Until you brought this to my attention, I didn't even know it existed. I want to learn this so please enter me to WIN! I am following (Like) Farragoz on FB. I would love to be entered for a chance to win the Farragoz course. I'm already a follower of your blog. I liked Farrogoz on FB! Well, can't figure out how to share your give-away on FB but I'll keep trying ;). Two out of three ain't bad! Will wonders never cease--I figured out how to share your give-away on FB (on my Timeline, whatever that is--hope that counts)!! 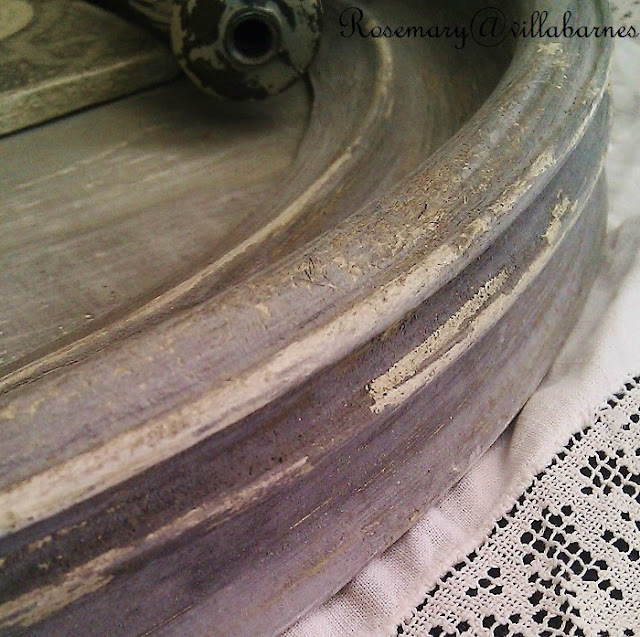 Oh, Rosemary, what a wonderful giveaway! Thank you for hosting this. I am very intrigued by this company and have enjoyed learning about them. I am an email follower and I love you blog. Thank you for teaching me so many things. I liked (and enjoyed) Farragoz since you started blogging about the course. Your techniques and theirs not only mesh, but just plain speak to me I "oooooo" while I read. I've been trying to save up to sign up for the course, so this is a nice opportunity. I've been following you via Bloglovin', which I hope qualifies. Yes! I would love to win this class. I have been drooling over your projects. Pick me, pick me! I have been trying to decide about taking the courses at Farragoz after seeing the finishes you have achieved. I follow you on both GFC and Linky. I shared this Farragoz giveaway on my FB page. I shared this on Farragoz's Facebook page and would like to be entered into the drawing for the course. I have been a follower for a while now. I would love to enter this giveaway. You sold me with that clockface. I absolutely love your art and would be so excited to have an opportunity to take FARRAGOZ course. Thank you for the possibility and thank you for sharing all that you do. It will be my pleasure to 'like' you on Facebook as well as share this offer with my friends. I have been a follower via email for a while now and always look forward to your posts. Thank you again. I am an "old" follower .... and wouldn't this be lovely to win. And I "Liked" Farragoz' Facebook page! Would love to win this. So pretty and I love everything you do. You have so many great idea's. Hi Rosemary, Thanks for the giveaway. I've been a follower for some time now and would love to win. Hi Rosemary, I liked FARRAGOZ.com on Facebook. I love all your creations and would love to win this course. Thanks for the chance. Yes, I would love to take this course and learn these wonderful techniques. I have been a follower for a long time. Never miss a post. I liked FARRAGOZ on Facebook and left a comment. I liked Farragoz on facebook and left a comment, please enter me in the contest. Thank you! yes, I really want to win!! :) Thank you. and last but not least, my facebook page for the final entry. I'm a follower. Love your "stuff". I would love to win the course....of course. I also liked Farragoz on Facebook. Thx! I also follow Farragoz on Fb. 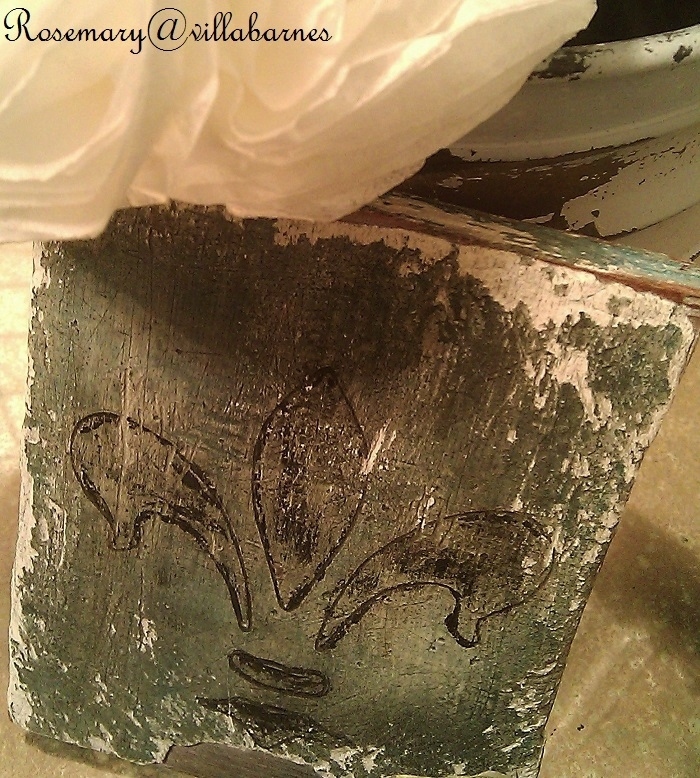 I have followed you for a while now, and LOVE what I can do with gesso! But winning the Farragoz online course would be the ultimate!! Thanks for the opportunity! YES! I want to WIN!! Of course I liked Farrogoz on FB and shared too! 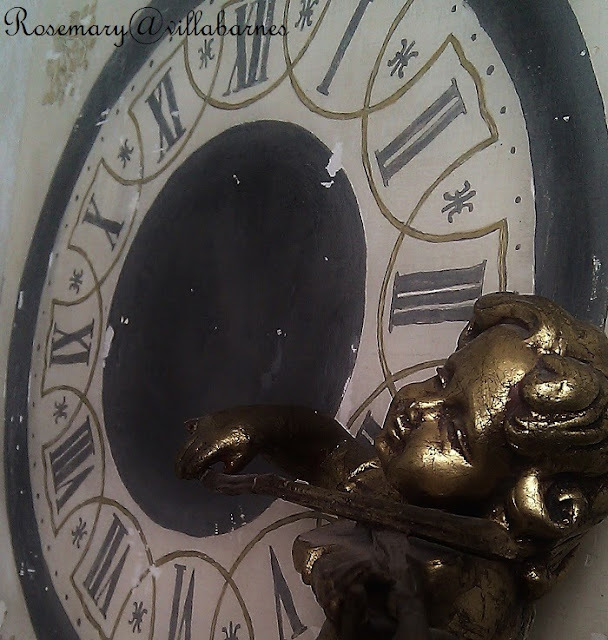 Hello Rosemary, I will follow you always been this wonderful and soppredente giveaway is part of your generosity! I try to attend hoping that luck is in my part. Hi Rosemary! I am a follower! Beautiful frame, as always! Blessings from Bama! I liked Farrogoz on FB. I follow your blog! Please count me in! Thank you for the wonderful opportunity. I am a follower. I have been a follower (and admirer) of you and your work. Hope I win. I shared the giveaway on FB! Blessings from Bama! Hey Rosemary! Thank you so much for all your help and sharing your wisdom with all! 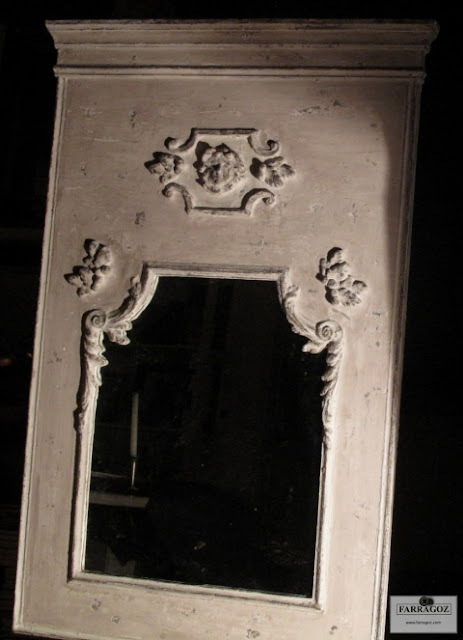 You are very talented, and I am thrilled to join your blog! Please add me to the Ferragoz Course Giveaway! I just shared Farragoz site with a bunch of friends of mine. I'm sure they will love it as well! Thank you for all your sharing! I Rosemary, I just became a follower however I have and do read everyone of your posts. I have also purchased items from you. I am so inspired by all that you do, you have amazing talent. 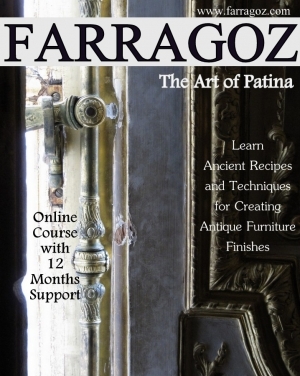 I have also read the entire site for Farragoz and hoped to one day purchase their course. Thank you so much to you and Farragoz for the chance to win this amazing prize. I am going to head over to facebook now for my second chance to win. Have a wonderful evening. Ps I just love all of your projects!!! I liked farragoz on facebook. They really are amazing.